While the West Linn City Council hasn't agreed on much lately, it managed to unanimously approve all agenda items at Monday's City Council meeting. Two councilors also addressed the importance of improving the functioning of the Council itself, after a city advisory board member made an impassioned speech during citizen comment period lambasting some councilors for their disrespect of city staff and volunteers. Bond funding played a large role in two of the most significant proposals to come before the Council at the March 11 meeting. Last year, $400,000 of general obligation (GO) bond money was set aside for the West Linn Library re-roofing project, which the council voted to move forward with at Monday's meeting. With the council's approval, city staff can form a contract with Carlson Roofing Inc. to re-roof the expanded portion of the West Linn Public Library. While the City won't know the total cost of the project, which is slated for the beginning of April, until the re-roofing actually begins, it expects to pay around $300,000. The re-roofing project is expected to last around four weeks, but could take longer due to inclement weather or if the roofers find more extensive damage than expected. Bond money also will fund the City's water main replacement project this spring. The council voted to allow the City to enter into a contract for the project. The City uses around $700,000 each year for water main replacement work. This year, piping along Apollo Road and Easy Street will be replaced. The city has yet to determine when this project will begin. At Monday's meeting, the Council also unanimously voted to approve the rezoning of 20 properties on 8th Avenue in the Willamette neighborhood as recommended by the planning commission and an appointed citizen task force. The recommendation includes rezoning the police station and all properties on the south side of 8th Avenue from mixed-use or residential to commercial zoning, along with rezoning five properties on the north side of 8th Avenue from residential to mixed-use to allow for new businesses along this stretch of 8th Avenue. 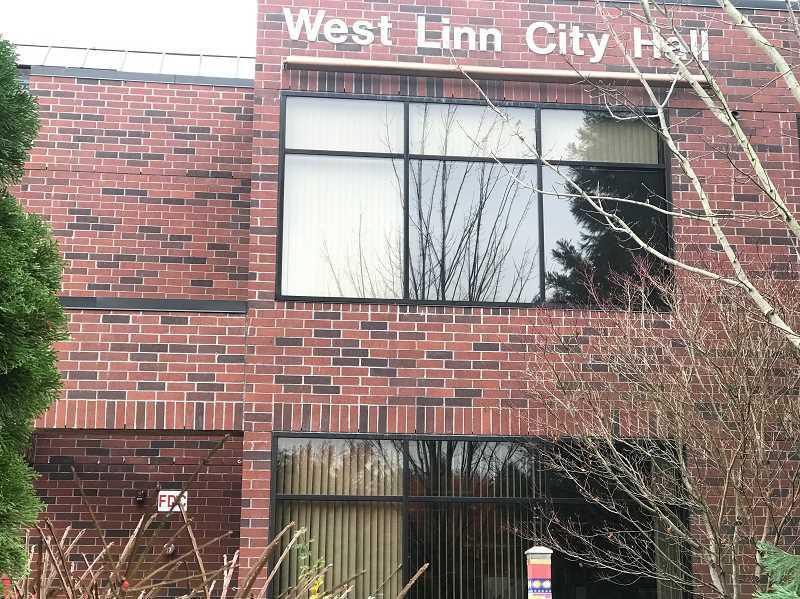 The Council also approved resolutions designating West Linn as a Bee City USA and an amendment to the City's motor carrier agreement with ODOT granting the city $36,000 in additional funds for West Linn Police's enforcement of safety checks on I-205. At the end of Monday's meeting, Councilor Jules Walters addressed an editorial in the Tidings about the fiscal consequences of the council's dysfunction. "The Tidings is not incorrect in suggesting there is a dysfunction here. But that doesn't mean it needs to remain that way," Walters said. "There must be a civil way to move forward even if we can't agree. West Linn deserves that." Walters acknowledged the efforts of council members to improve civility at Monday's meeting. "There is no doubt in my mind that there is a problem here. The tone tonight has been much nicer than it has been and I appreciate that. However, in my opinion, I feel there are three key issues," Walters said. "I think one, there is a lack of trust and respect between some members of our council and our city staff. Two, I think there is a determined effort to keep relitigating the past. And three, I feel there is a lack of vision to guide West Linn into the future." Councilor Richard Sakelik agreed with Walters, saying, "Everyone needs to have the same attitude about being honest and civil. … Nobody is exempt from that."